---Please Select --- 0 - 1 ft. 1 - 3 ft. 3 - 6 ft. 6 - 10 ft. 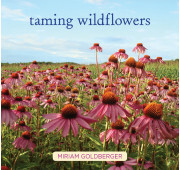 Select any or all of the above options and a page will generate showing the best wildflowers for you! All wildflowers listed are linked to a page where you can learn more about it. On mobile devices click on the Selector Link.